On May 2, the Foundation for Children with Intestinal and Liver Disorders hosted their annual fundraising fashion show and luncheon for 250 guests at the Fairmont Hotel Vancouver. The CHILD Foundation (child.ca) raises much-needed research funds for pediatric Crohn’s disease, ulcerative colitis and liver disorders such as biliary atresia. On presenting Marie Doduck with the CHILD Foundation Inspiration Award, Mary McCarthy Parsons, president and chief executive officer, recounted that Doduck is an active volunteer in many organizations, who has given so much back to her community. 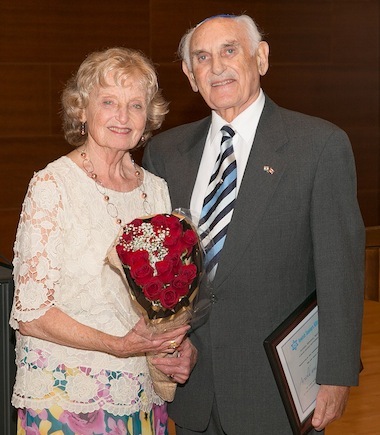 As a founding member of the Vancouver Holocaust Education Centre and, being a Holocaust survivor, the CHILD Foundation was very pleased to honour Doduck, an extraordinary ambassador of hope and courage in our world – a true inspiration. The CHILD Foundation Inspiration Award was presented to Doduck, “who inspires us all to become better, more involved citizens through her dedicated efforts on behalf of children and the warm, uplifting consideration she extends to everyone she meets.” Congratulations! Heather Fenyes is a full-time volunteer. 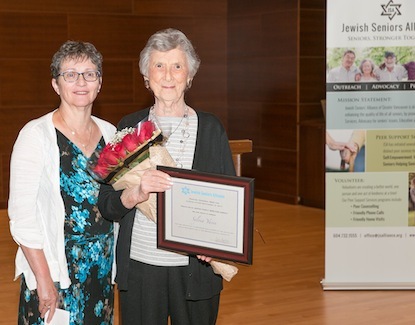 She is actively involved in Saskatoon’s Jewish community, as well as with a number of organizations on the national Jewish scene. In 2011, she and her then nearly retired cousin, Jan Gitlin, started the organization Think Good, Do Good to create opportunities for people to engage in acts to improve their community. A teacher by education, Fenyes has spent many years volunteering at the local Hebrew school, at Agudas Israel Synagogue. “We’re a pretty small community and we punch way above our weight class,” she told the Independent. As Fenyes’ kids were growing older, she recognized they were probably going to leave Saskatoon once they finished high school. Unless she created something more tangible to keep herself busy, it would be a difficult time. Fenyes decided a good place to begin was to pay a visit to Judge David Arnot, head of the Saskatchewan Human Rights Commission, explaining to him that she wanted to find a way to work with him as a volunteer. Fenyes has been spending a lot of time in classrooms, leading various lessons on citizenship, reminding students that, with all of our rights come just as many, if not more, responsibilities. While teaching one of the classes, Fenyes met a young student who said he was from Gaza. Fenyes suggested they talk about hummus. “I have a lot of friends from the Middle East and we have an ongoing discussion about who makes the best hummus,” she said. “This young man was enthralled and we had this adorable, non-substantial discussion about hummus … and the teacher was standing looking anxious in the corner…. She said to me about a week later, ‘You cannot believe what happened Heather. Not long before you’d been in the classroom, this young man had been telling me about his family’s discomfort with Jewish people and his strong negative feelings towards Israel. When you left the classroom, he had a change.’ She said if she hadn’t seen it herself, she wouldn’t have believed it. “He approached the teacher and shared how moved he was by having met me and asked to write a paper … and, it was on coexistence or getting to know our neighbors … something completely opposite to the things he’d been saying before. This understanding really hit home when Fenyes’ son received a death threat while studying at Western University. 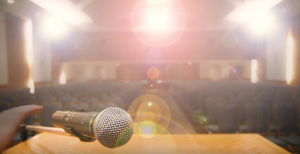 Fenyes did not need that wake up call, but it did remind her of why she was in classrooms and making connections with people of all faiths. Fenyes said they have learned from experience that, if the Jewish community alone puts on events such as the annual Raoul Wallenberg program – which this year took place on Feb. 5 – they do not have the same impact. Therefore, they have given the Catholic and public schools the mandate to organize the event. This year’s program featured a young man who was born in Congo and lived in Kenya before immigrating to Saskatoon as a refugee; he just graduated from high school last year. On another front, Fenyes is looking forward to finding ways to work with the Centre for Israel and Jewish Affairs.